Mrs Kat is supported by an administration team which forms the interface with patients, hospitals and the public. They are essential in providing information and advice regarding the practice, the surgical and non-surgical procedures and all related matters. She is also joined by a team of talented doctors and practitioners, experts in their field of work, providing a range of aesthetic services that complements the surgeries. It's old fashioned but our duty of care to our patients trumps everything else. Dr Diaz completed his dermatological training with the West Midlands Deanery in 2000. He now works as a consultant dermatologist at the Skin Centre, City Hospital in Birmingham, and at Spire Little Aston Hospital, his specialist areas of interest being dermatological surgery and skin cancer surgery. Since 2004 he has been performing a wide range of aesthetic procedures and is experienced in the field of cosmetic dermatology. In the last few years he has successfully embarked upon the field of Hair restoration surgery, employing both Follicular Unit Transplant (FUT) and Follicular Unit Extraction (FUE) techniques. Dr Diaz is the only Consultant dermatologist in the United Kingdom who has trained in the USA with some of the top hair surgeons in the world. His extensive knowledge in skin surgery has allowed him to do a modified technique from the donor area in the extraction of the donor tissue with excellent cosmetic results and he takes great pride in the design and natural result of the hairline. Dr Diaz is a member of several international and national societies and regularly attends international meetings. He is a regular speaker at meetings and has appeared several times on local radio and television. Dr Ana initially trained as a GP. Her interest in Dermatology subsequently led to a passion in Aesthetic Medicine. Prior to joining us, she worked as an independent practitioner, offering a range of injectable treatments. Dr Ana provides consultations for skin care, anti-ageing treatments, nutritional and weight management advice and non-invasive body contouring. She also has special interests in intravenous nutrition supplements and dietetics. Kelly has been a qualified beauty and skin therapist since 2008. She has gone on to broaden her knowledge within the beauty and aes thetic industry by completing a foundation degree in beauty management at Warwickshire college in 2012. In her previous job, Kelly managed a team of therapists and also provided laser and beauty treatments personally. Kelly offers skin analysis to all patients, resolving and maintaining skin problems from ageing concerns to breakouts. She is also trained in the Environ Ionzyme facial, HydraFacials, Laser hair removal and Skin tightening alongside many other beauty and spa treatments. Mr Khan graduated in 2004 from King’s College Medical School in London and then developed his knowledge by completing his specialist training in Plastic and Reconstructive Surgery in Oxford. 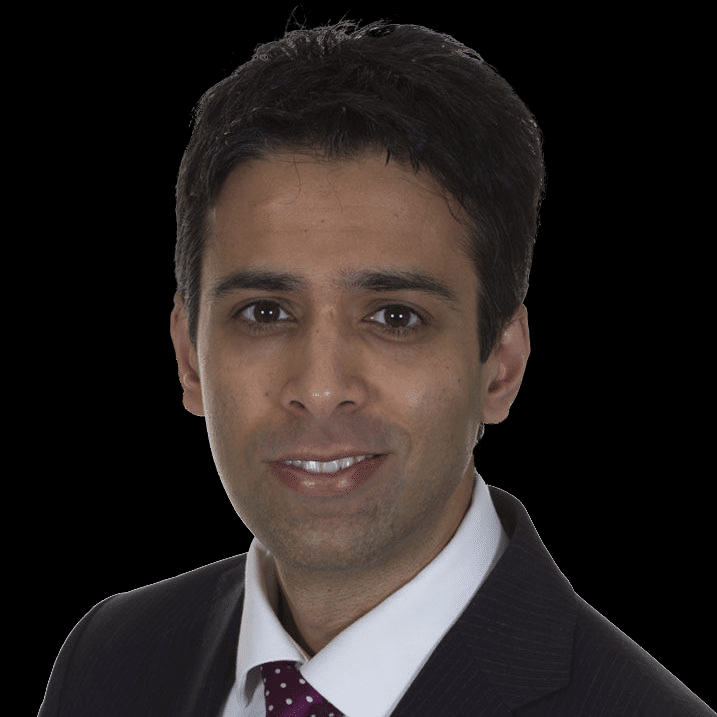 In addition to his qualifications, Mr Khan has completed a specialist cosmetic surgery fellowship, which is organised by the British Association of Aesthetic Surgeons (BAAPS) as well as special training fellowships in microsurgical breast reconstruction and cleft lip & palate surgery. · Facial Procedures such as a face lift, rhinoplasty and mole or cyst removal. · Body Contouring including liposuction and fat transfer. · Breast Procedures such as breast reduction or augmentation. · Non-surgical treatments such as facial filler and lip enhancement. · Children’s plastic surgery including prominent ear correction. · Cleft lip and palate surgery. Miss Poonam Pradhan has been a Consultant Obstetrician and Gynaecologist practicing at Heartlands and Solihull Hospitals since 2004. Additionally, Poonam Consults at Spire Healthcare and at MUMS Clinic (Midlands Ultrasound and Medical Services) in Solihull. Poonam is a general gynaecologist who has expertise in transvaginal scanning for the detection of gynaecological problems including cancers. She performs surgery including laparoscopy, hysterectomy and vaginal repairs. Miss Pradham offers general obstetrics and gynecology consultation at our clinic. Additionally, she provides assessment and treatments using the latest radio frequency technology for urinary incontinence and vaginal rejuvenation. Josephine has joined us from the Priory and Edgbaston hospitals, where she gained a wealth of knowledge and experience from working in various administrative jobs, such as Pre-assessment, to working on the wards of the hospitals as a ward clerk. Josephine started her receptionist work in a hair clinic in London before moving back to Birmingham to start work at the priory. Here at CC Kat Aesthetics Jo has now moved from her receptionist role to deal with all invoicing, surgical paperwork, bookings and post procedure appointments. She will also be helping with the day to day running of the clinic, answering general practice enquiries and booking appointments for Mrs Kat Aesthetics clinic. Jodie's career started with hotel hospitality and has gone on to spend 10 years in the NHS running a busy GP surgery in Sutton Coldfield. Jodie has been instrumental in the setting up of our clinic at our current location and is in charge of the day to day running of the practice. Catherine has over 10 years experience within the beauty and Aesthetic industry. Qualified as a Lecturer she has taught Laser/IPL and Beauty Therapy on various qualifications and centres. Her experience and training with ourcosmeceutical product brands means she has the knowledge and power to deliver results and prides herself in being able to provide each client with healthy skin. Treatments she provides include Hydrafacial, Environ Facials, SkinPen Micro-needing, Laser Hair Removal, Miradry, Peels and Manual Lymphatic Drainage. Louise worked as Marketing Secretary at The Priory Hospital in Edgbaston for 12 years. During this time she was intimately involved in marketing the cosmetic service at The Priory Hospital and became familiar with the world of cosmetic surgery. She joined Mrs Kat's practice in 2008 to assist with the day to day running of the office. Louise now looks after Mrs Kats theatre lists, surgical bookings and outpatient clinics.